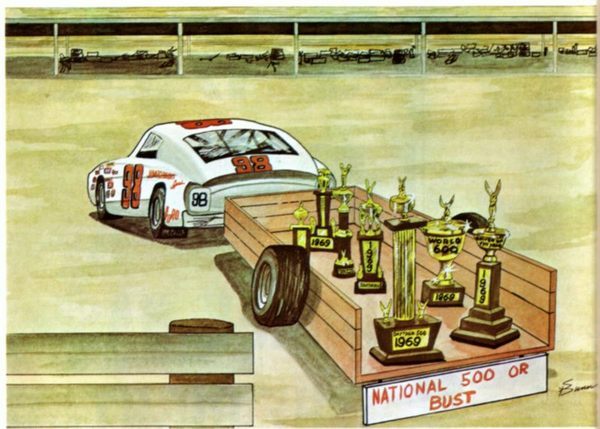 These post cards were available from the Charlote Motor Speedway gift shop. 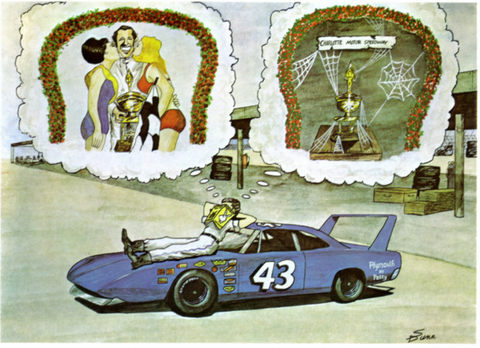 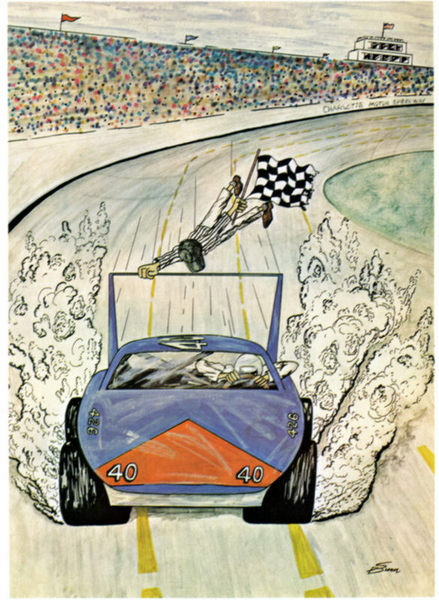 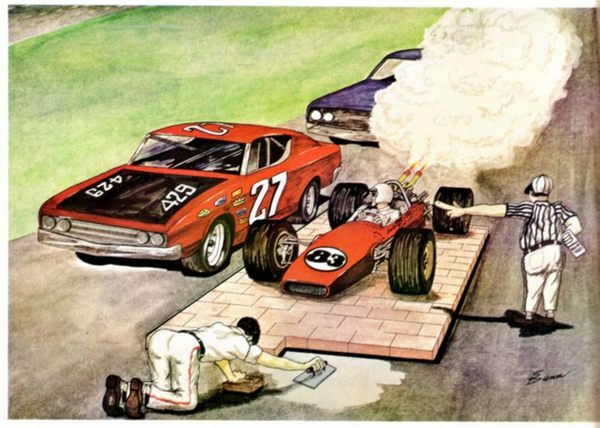 They "may" have also been in the 1970 National 500 race program. 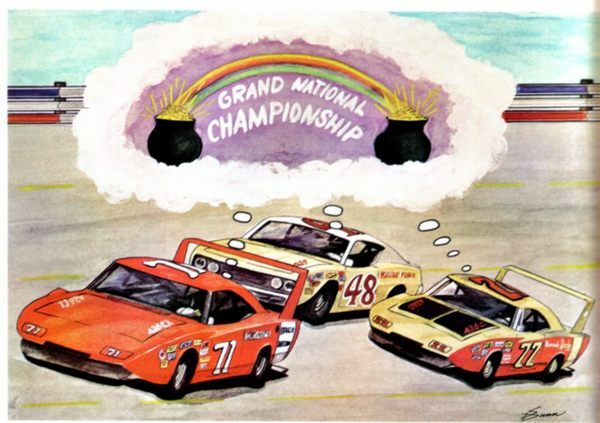 Bobby Isaac, James Hylton and Bobby Allison. . 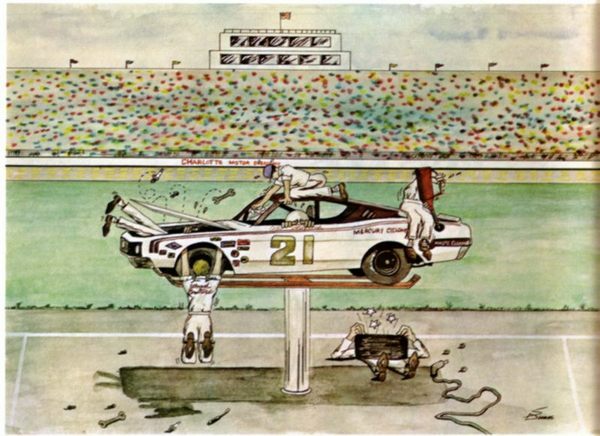 In 1970, Donnie Allison raced the #27 Banjo Matthews Talladeha, and A.J. 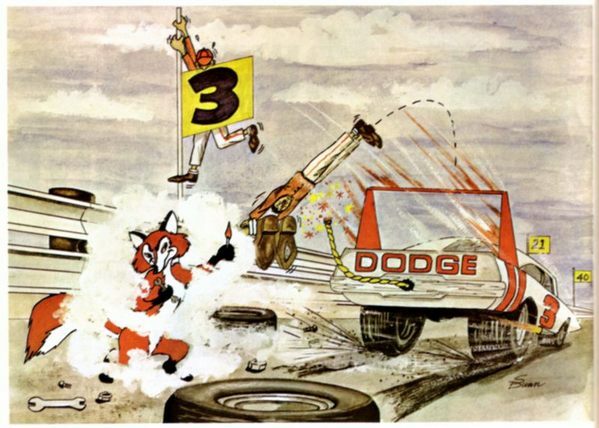 Foyt's #83 car at Indianapolis. 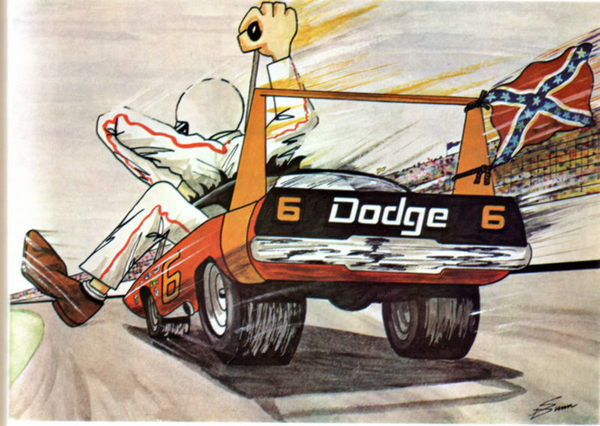 Ray Fox's Daytona was driven by Fred Lorenzen in these days. 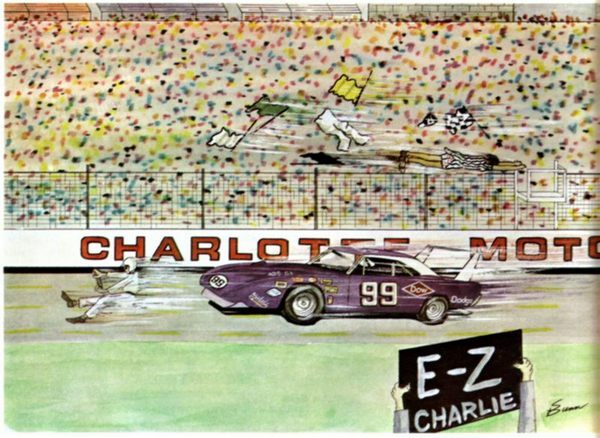 Buddy Baker came to Charlotte not long after winning the 1970 Southern 500. 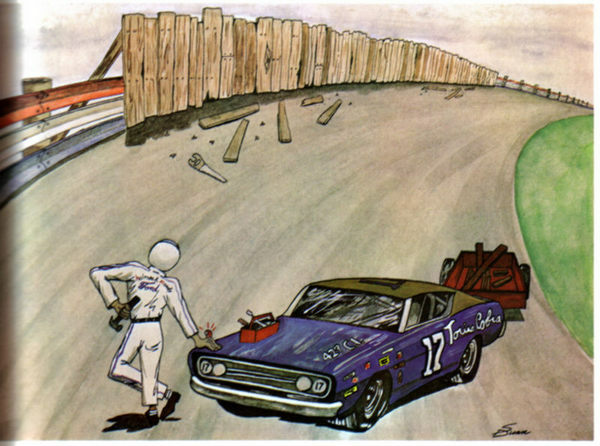 David Pearson fixes the fence.